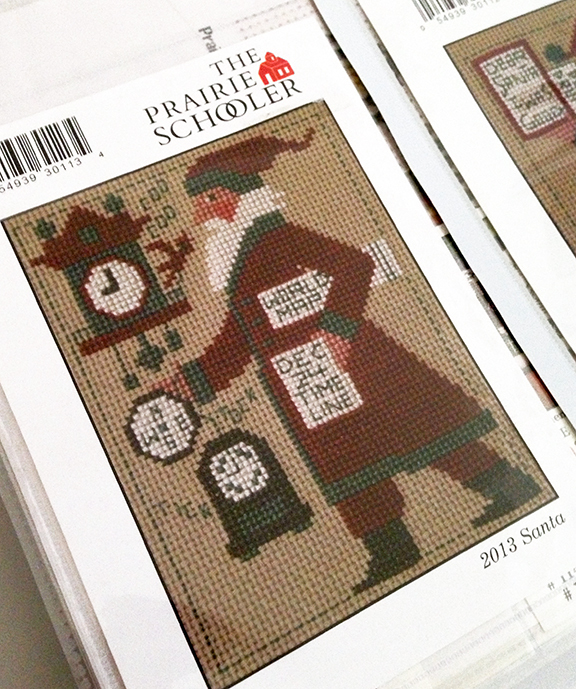 Yesterday I had a visit from a sister bearing gifts, including the newest 2013 Prairie Schooler Santa card. She knows that I love to collect Prairie Schooler Santas, so this was a very welcome addition to my charts stash. She also brought me some beautiful postcards from her recent trip to Russia (foreign postcards are a big favorite of mine) and some delicious Russian chocolate, too! 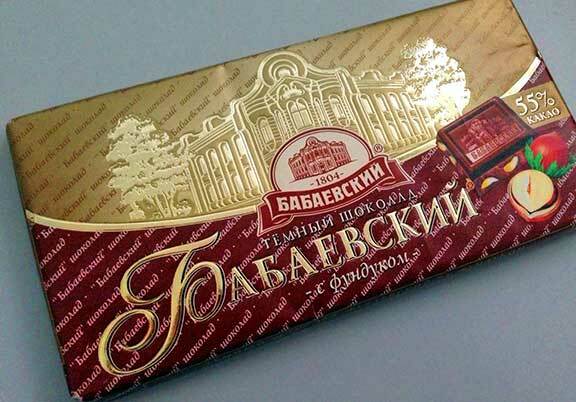 A quick Google search helped me to understand that this yummy fruit and nut concoction was made by Babaevsky Confectionery, the oldest confectionery factory in Russia. The gorgeous red and gold label was almost as impressive as the chocolate bar inside.